The eQuipped HDC-26 heated display case easily fits on a countertop to help you save valuable space. 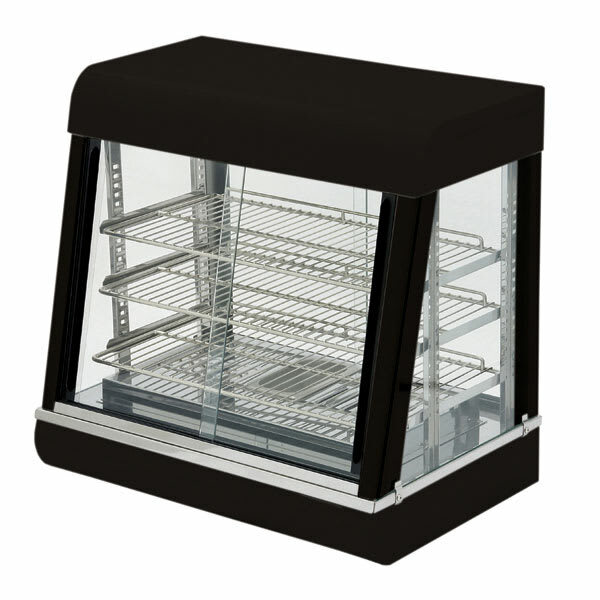 The stainless steel construction is double walled so the exterior stays cool to the touch and resistant to damage. Food stays fresh longer with the humidifying system, and the thermostat is adjustable. 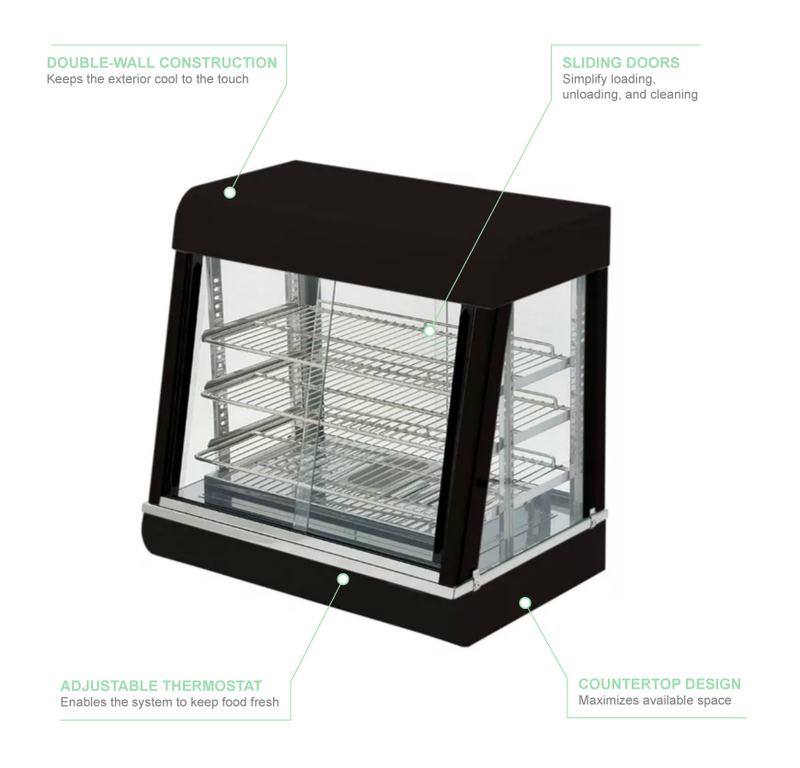 Loading, unloading, and cleaning the eQuipped HDC-26 heated display case is simple since there are front and rear sliding doors. Products sit neatly on three adjustable shelves.